Delhi on Monday became the first Indian city to deliver a host of government services at the doorsteps of its citizens, a much-awaited initiative to usher in transparency and efficiency into the national capital’s governance system. As many as 40 government services have been included in the delivery list that the citizens will be entitled to avail under this innovative programme, which entails the involvement of government-appointed private agencies to ensure smooth functioning. “We have to change the way we are being governed. The entire administration and governance need a complete overhaul. 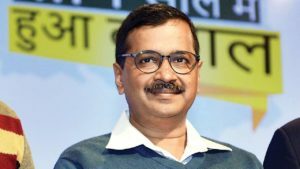 It needs to become citizen-centric,” tweeted Chief Minister Arvind Kejriwal as the initiative was launched in the city, which has become the first city in India to have come up with such an innovation in governance, claims Kejriwal. The Delhi Chief Minister used the National Informatics Centre’s video conferencing service to launch the home delivery of public services. Under this initiative, citizens of Delhi will be able to avail services like issuing of driving licence, ration card, marriage certificates, caste certificate, residence certificate, etc, without having to step out of their homes. The 40 services listed under it will involve seven government departments: Revenue Department, Social Welfare Department, Transport Department, Delhi Jal Board, Food and Supplies Department, Labour Department and Department for the Welfare of SC/ST/OBC/Minorities. The government will appoint a ‘Mobile Sahayak’, who will be just a call away from the citizens to get the process rolling for delivery of various services. These ‘Mobile Sahayaks’ will act as “reliable facilitators” who will visit citizens’ homes and gather all the important documents required. After the documents are ready, these will be delivered to the citizens via speed-post. Besides that, status of the document can be tracked via a unique ID and regular SMS service. A nominal fee of just Rs 50 is what the Delhilites would have to pay for the requisite documents. Also, these services will be available to citizens from 9 am to 9 pm.